To continue Rev. Elisabeth’s periodic ‘musings’ on the Scripture texts which will be preaching in coming weeks. To share reflections on ministry, mission, purpose in the life of our Cedar Park Community of Faith, both within, and beyond, our wood and stone. Sometimes there will be ‘guest’ posts, from partners in mission and ministry. BWS is a “safe space” for exploration and conversation about faith, designed specifically for the Cedar Park congregation and friends. The site is accessible to anyone with the link. Cedar Parkers are encouraged to add comments, knowing that we have security filters in place to keep the space safe, open, progressive and affirming. My heart is full and I am truly blessed. Rev E, the “Church and Fountain Band” – as you so aptly dubbed us – collectively thank you for extending an invitation for Coffee House to Meet Worship. 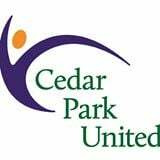 Thank you for being so open to the music, helping me plan, and providing us with the opportunity to offer Cedar Parkers an alternate musical worship experience. We surely went to the other side in “A Blaze of Glory”!